Ok so I recently found the Peppermint Brownie Cake Pops at Starbucks and my life has not been the same since. 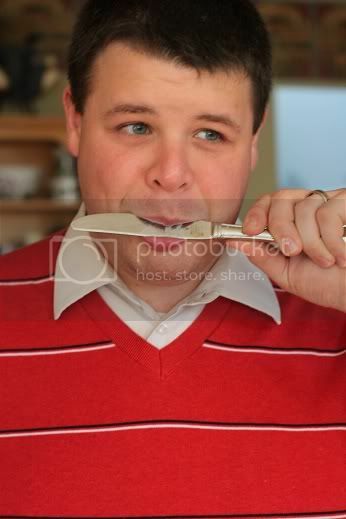 They are that delicious. And somehow, under 200 calories…I’m guessing that’s because they are so small, but really this sweet treat is all I really need to get me through my day. I also, however, realized that they are sadly seasonal items – so probably sometime this month they will be trickling out of stores near you. Obviously, I could not let this happen without figuring out a reasonable knock-off recipe prior to the inevitable end of the holiday season. 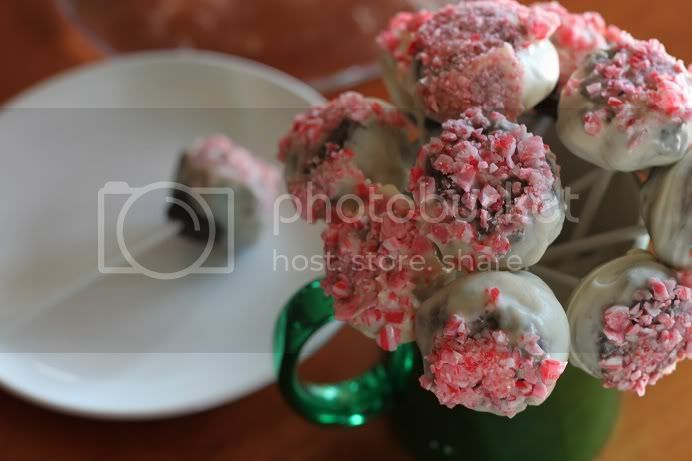 I have to say, this recipe is a pretty passable version of the deliciousness that is the Peppermint Brownie Cake Pop. I made it for Christmas this year, and it was a big hit to say the least. It also is very easy, even if you’ve never tried cake pops before. Basically Cake Pops are what you make if your cake comes out all crumbly and fall-apart-y. You combine the cooked and crumbled cake with frosting and form into balls, about 1.5 inches in diameter, then freeze until semi-solid. For the finishing touch, you put a stick into the ball of crumbled cake (since it’s frozen, it won’t fall apart) and then dip into your choice of coating, which for me was melted white chocolate. Finally, sprinkle with whatever cute/tasty decoration you wish to use. We sincerely enjoyed making these, and also eating them…although I do not recommend licking the candy coating off of a butter knife as my sous chef is. I used a store-bought brownie mix, seeing as I was going to be crumbling it all up and mixing it with frosting to make it even moister and more delicious. A tip for melting white chocolate here -if you add about 1-2 tsp of vegetable oil, the white chocolate melts much more smoothly, and is about a million times easier to work with. I suggest using a double boiler for this recipe, (rather than my go-to chocolate melting strategy – the microwave) as it takes a while to dip all of the cake balls into the chocolate, and this will keep your white chocolate good to go the whole time. Lastly, I would strongly recommend having a block of unused floral foam on hand, so that you can place the sticks into it and have the cake pops harden without a flat side. Makes them much more pretty. Place prepared brownies into the bowl of your stand mixer and turn it on. Add softened cream cheese, and mix until the brownie crumbs are moistened. Form into 1.5 inch balls and place on a parchment-lined cookie sheet. Freeze for at least 1 hour. Remove from freezer and insert a candy stick into each ball. Place your white chocolate chips and vegetable oil into the bowl of a double boiler and place over a small amount of boiling water. When the chips start to become glossy-looking, stir until they melt completely and are smooth. Dip each cake pop into the melted white chocolate. 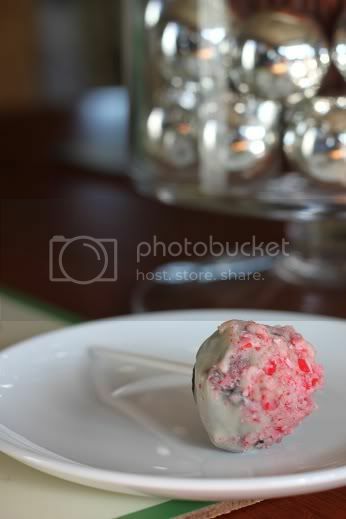 Immediately dip the cake pop into the crushed peppermint. Finally, place the cake ball sticks into a waiting block of unused floral foam, so that your cake pops end up perfectly round. Enjoy! They were delicious!!! Great blog btw! They looks so good! I pinned it!